This challenging project was unique in that it created a new main entrance to the Concordia campus. This two-phased addition to the existing music building created a complex that enhances the arts as an integral part of the image and fabric of campus. The first phase features a 300-seat hybrid proscenium theatre including fly loft, hydraulic orchestra pit lift, vomitories, trap room, and full side-stages and balcony acting decks. Other support spaces include a costume shop, scene shop, make-up and dressing rooms and green room. 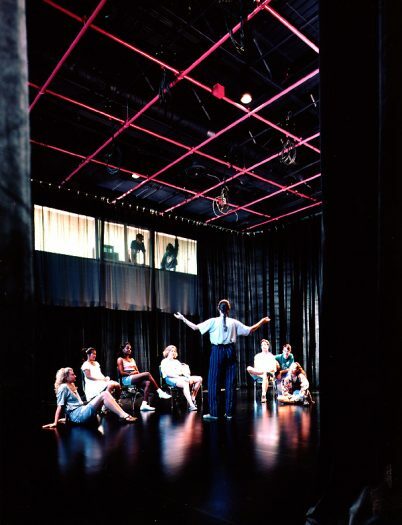 The teaching functions are enhanced by a design studio, faculty offices, a theatre classroom, and a “theatre lab” or “Black Box” type multiform theatre which seats up to 80 people. Phase Two provides complete facilities for the visual arts, as well as a working art gallery and arts administration spaces. As a ceremonial gateway, this complex enhances the arts as an integral part of the campus fabric.